There may not be monstrous Yule Cats on the prowl in Orkney but Yule preparations in the islands were also concerned with warding off the unwelcome attention of malevolent spirits - in this case the trows. You can read more about the traditions surrounding Yule in the Northern Isles on the excellent Orkneyjar website. A Yearly tug-of-war, with the ultimate possession of a Yule tree as its object, took place in Stromness each Christmas Eve until 1936. A tree of some kind - for trees are scarce in the islands - was taken from a garden without the owner's knowledge and carried to the middle of the town. Chains or ropes were attached to it and a trial of strength began... there was a point of delimitation between Northenders and Southenders, and their ancient rivalry found expression in an attempt to drag the tree to a traditional goal well within the territory of the faction which proved most powerful. The contest was a robust, often turbulent one. As the route was skirted by the sea, the tree invariably ended its journey in the water, followed now and then by an over-zealous player. 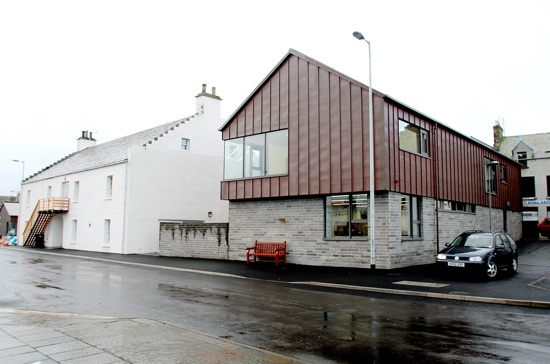 You can read more about the Stromness Yule Tree on the Scapa Flow Landscape Partnership's website. We would love to hear from anyone who may remember this custom, or has heard stories about it - please share them in the comments below. 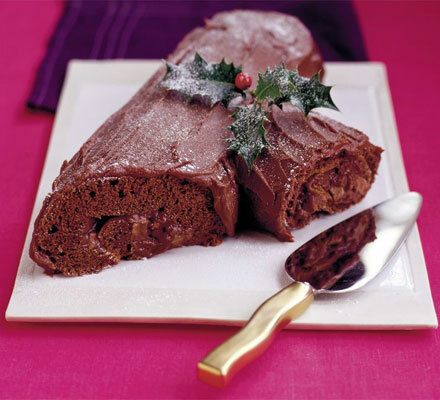 In the meantime we're going to stick to a chocolate Yule Log - though there may still be fighting over that!